In this blog you will be reading about a SUV company. The company name is RANGE ROVER . The reason I am writing this blog is because this car company is a Luxury Car . Range Rover is a SUV Company . 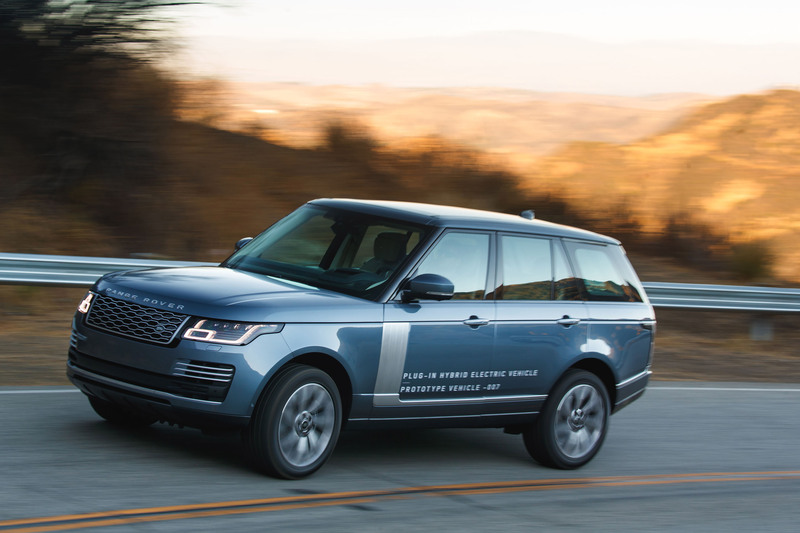 There latest model is the 2019 LAND ROVER RANGE ROVER . The Range Rover was launched in 1970 by British Leyland. Jaguar Land Rover has also extended the use of the Land Rover Range Rover sub-brand with the introduction of Range Rover Evoque, the Range Rover Velar and the Range Rover Sport.The brand has four generations. The first generation is (1970-1976) . The first generation was only in a 2-door body until 1981,though prior to this 4-door models were produced by specialist firms. The second generation (1994-2002). 25 years from the introduction of the first-generation Range Rover, the second-generation Range Rover—model-designation P38A—was introduced for the 1995 model year, with an updated version of the Rover v8 engine. The forth generation (2012 – present). The fourth generation Range Rover, codenamed L405, was exhibited in September 2012 at the 2012 Paris Motor Show. Have you wondered how many types of range rovers are there? There are currently three midsize Land Rover SUVs, which I think is where most people get confused. There’s the Land Rover Discovery, the Range Rover Velar, and the Range Rover Sport. The MSRP is $89,160 . The MPG is up to 22 city / 28 highway. Dimensions: 197-207″ L x 78″ W x 72-74″ . Curb weight: 4,958 to 5,745 lbs. Warranty: 4 yr/50,000 mi basic, 4 yr/50,000 mi powertrain. The reason I wrote this blog is because I like cars and Range Rovers are nice cars. Air pods 2 are earphones that are wireless and they are pretty small. The way they charge is pretty cool. So you have to charge the case of the earphones or charge the case wireless then the whole day the earphones get charged. Apple’s first-generation AirPods perfected automatic connection to any Apple device you’re signed in with your Apple ID. Switching between devices is automagical. Apple’s second-generation AirPods are a slight improvement over the first-gen with better audio and voice quality, longer talk time, and support for voice-activated Siri. Bloodhound , life line,caustic, mirage,bangalore, pathfinder, wrath, gibaltar and watson. The headquarters is in Stuttgart, Baden-Württemberg. The name first appeared in 1926 under Daimler-Benz. Mercedes-Benz traces its origins to Daimler-Motoren-Gesellschaft’s 1901 Mercedes and Karl Benz’s 1886Benz Patent-Motorwagen, which is widely regarded as the first gasoline-powered automobile. The founders of Mercedes-Benz are Karl Benz; Gottlieb Daimler. Mercedes-AMG; Mercedes-Maybach. The first ever Mercedes-Benz traces its origins to Karl Benz’s creation of the first petrol-powered car, the Benz Patent Motorwagen, financed by Bertha Benz and patented in January 1886, and Gottlieb Daimler and engineer Wilhelm Maybach’s conversion of a stagecoach by the addition of a petrol engine later that year. Karl Benz’s creation of the first petrol-powered car, the Benz Patent Motorwagen, financed by Bertha Benz and patented in January 1886, and Gottlieb Daimlerand engineer Wilhelm Maybach’s conversion of a stagecoach by the addition of a petrol engine later that year. I hope you guys enjoy this blog and bye . In this blog you will read about Lamborghini ,some new models and the Lamborghini Urus. Automobili Lamborghini S.p.A. is an Italian brand and manufacturer of luxury sports cars and SUVs based in Sant’Agata Bolognese and tractors Lamborghini Trattori in Pieve di Cento, Italy. The company is owned by the Volkswagen Group through its subsidiary Audi. There parent organization is Audi. There founder is Ferruccio Lamborghini. Founded in My 1963. There Subsidiaries are ducati,Italdesign Giugiaro, Motori Marini Lamborghini, Lamborghini Artimarca Spa,Officine del Futuro S.p.A, MML S.p.A., VOLKSWAGEN GROUP ITALIA, and Automobili Lamborghini S.p.A. . Some new models are 2019 Lamborghini Urus, 2019 Lamborghini Huracan, 2019 Lamborghini Aventador S and the 2020 Lamborghini Huracan EVO. Hi, in this blog I will be talking about the PS4 PRO. And als telling the difference in the ps4 and ps4 pro. The PlayStation 4 (PS4) is an eighth-generation home video game console developed by Sony Interactive Entertainment. Announced as the successor to the PlayStation 3 in February, 2013, it was launched on November 15 in North America, November 29 in Europe, South America and Australia, and on February 22, 2014, in Japan. It competes with Microsoft’s Xbox One and Nintendo’s Wii U and Switch. Did you know that the ps4 pro has Playstation VR ? PlayStation VR is a virtual reality system for PlayStation 4; it consists of a headset, which features a 1080p display panel, LED lights on the headset that are used by PlayStation Camera to track its motion, and a control box that processes 3D audio effects, as well as video output to the external display. You might wonder what is the difference between the ps4 and the ps4 pro . The difference is that the ps4 pro represents a meatier, more powerful unit that delivers better performance capable of 4K gaming and HDR. It’s other new console became known as the ps4 Slim, which offers the same functionality as the launch model in a sleeker form factor. Sony calls this the ps4 as it’s phased out the original console. The pro costs $499. The ps4 pro is worth it because of its 4k . To me the pro is better than the xbox . (the pro means ps4 pro) The ps4 pro came out on September 7,2016 . This blog is about the ps4 pro . I hope you guys enjoy this blog and bye.